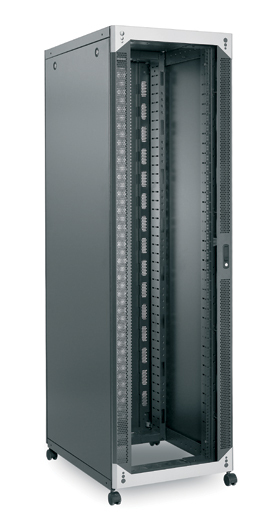 Our Uspace 6210 range of Server Cabinets are made from steel with lockable glass or Mesh front doors, available in black as standard and designed to house most Server Units from all the major manufacturers. 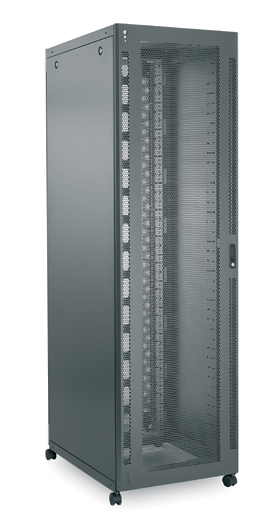 As a feature of their design, USpace Server Cabinets can also house Dell Servers with Rapid Rails as well as universal rackmount kits. Internal working depth (maximum space between front and rear profiles) is 890mm, these profiles are completely adjustable in the cabinet, to safely house shallower equipment.